Excite! 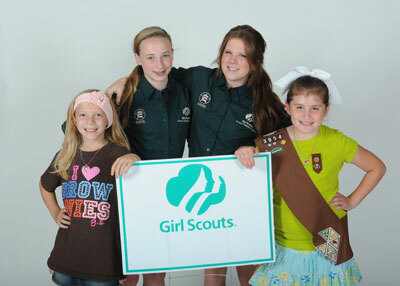 Girl Scout programs have been running for over 10 years! Each program is available to book Fridays-Sundays upon staff and space availability. Our programs are organized and managed by Liz Bracker from her home office. Once the day and time has been confirmed with Liz, payment is due in full to reserve your spot. Online waivers are required from every participant to include Adults. Payment can be made in person at the Excite! front desk or thru the Excite! parent portal available on excitegym.com. Liz will instruct you on how to create an account and log into the portal if you do not have an active account at Excite! Girls will leave with a well-rounded sense of how important it is to be a good team player and follow rules. Learn how to communicate positively and get encouraged to be involved in a physical hobby and/or sport. They will have fun learning a dance and adding their own dance steps to it. Price includes the Fair Play Badge. A fun introduction to three main girl sports. In one hour, girls will rotate and get an introductory class in Cheer, Gymnastics and Tumble. Girls will have fun with the Exciting coaching staff and learn that these sports are good for flexibility, body strength, balancing and teamwork. Includes a Fun Patch! Earn two badges back to back at Excite! Coaches follow the curriculum to earn the Staying Fit badge and Practice with Purpose badge. Girls will leave with a well-rounded sense of how important it is to be fit and healthy. Learn how to keep your body fueled, how to stress less and help keep your family healthy too. They will also discover how to set a sports goal, build up their strength, and increase endurance to achieve their goal. (A list of required activities to do at home will be provided). Price includes the badges. Girls will learn about the importance of sleep, nutrition and exercise. Several activities will be done that will emphasize how and why it’s important to exercise and work the most important part of your body, your heart. Girls will play games that encourage the girls to use good attention and memory skills. The girls will experience how the mind is amazing and important to keep challenged. Girls will realize sitting on the couch will not help their body or mind be at its best potential! Dress in comfortable clothes. Price includes the patch. Babysitting is an important job. It’s a lot more than just playing with children while the parents are away. Babysitter Basics covers safety, child-tending skills, basic first aid, and tips on how to find potential employers. Are you prepared for a babysitting job? This class is dedicated to Girl Scouts but not exclusive. Teamwork is a vital part of our everyday lives! Teamwork is not only necessary for sports, but also important at home, school and their future careers. Girls will learn about teamwork through hands-on team-building activities. Team-building games will be set up so each girl can learn and experience how to promote cooperation, communication and commitment with others. Dress in comfortable clothes and bring a labeled water bottle. Price Includes an Excite! Teamwork patch. This class is designed to help Brownies & Juniors feel more prepared and comfortable with emergency situations which might require basic First Aid. Girls will gain knowledge of a basic First Aid Kit, what each item is for, and how to put together a Kit for home. They will also learn how to avoid getting hurt and how to treat minor indoor and outdoor type of injuries. This class allows participants to practice First Aid skills and/or know how to call 911 through real life scenarios. Price includes the Fair Aid Badge. A fun-filled evening where girls are kept busy all night! They will rotate through different stations, there are many stations to choose from. Nutrition, Gymnastic, My Body, Cheerleading, Tumble and a Just For Fun station with organized games. Choose 3-4 of these stations or we can customize the overnighter with other topics of your choice. The whole entire gym has spring padded floors, the perfect facility for a sleepover. Pizza dinner and continental breakfast is included. Learning to choose between a healthy and non-healthy snack at an early age is important. Girls will enjoy jumping into the world of snacks and earning their Snack badge by making a savory and sweet snack, a snack for energy and yes, even slurping a snack! All recipes will be sent home so they can share what they have learned with family and friends! Girl Scout programs are non-refundable & non transferable. Events are subject to cancellation if the minimum number of girls are not met. Individual cancellations accepted under emergency circumstances only with 48 hours notice of the event. There is no refunds if the entire troop cancels. Individual cancellations if accepted will be refunded as a credit in the Excite! account and can be used towards another Excite! event or programs.